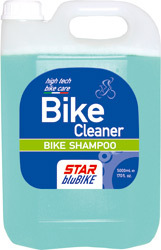 BIKE CLEANER is a surfactant soluble in water which removes all types of dirt and grime. This product will not harm paint or parts in plastic or in carbon fiber. • Pump spray BIKE CLEANER directly on all dirty parts, wait a few minutes, then rinse with water. • Protect and shine with SILICON SPRAY to keep your bike clean longer.